No matter your age, we’ve got a scooter to kit you out for the daily commute. The Plum® range of scooters features models from: Globber, No rules and Muuwmi. 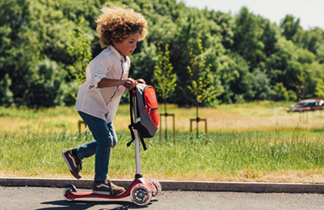 From ride on walking bikes for your child’s first riding experience, to two and three wheeled scooters for older children and adults, Plum® has a scooter to match your individual needs.